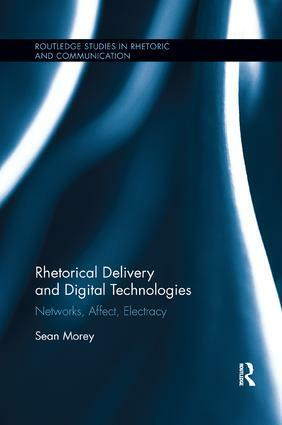 This book theorizes digital logics and applications for the rhetorical canon of delivery. Digital writing technologies invite a re-evaluation about what delivery can offer to rhetorical studies and writing practices. Sean Moreyargues that what delivery provides is access to the unspeakable, unconscious elements of rhetoric, not primarily through emotion or feeling as is usually offered by previous studies, but affect, a domain of sensation implicit in the (overlooked) original Greek term for delivery, hypokrisis. Moreover, the primary means for delivering affect is both the logic and technology of a network, construed as modern, digital networks, but also networks of associations between humans and nonhuman objects. Casting delivery in this light offers new rhetorical trajectories that promote its incorporation into digital networked-bodies. Given its provocative and broad reframing of delivery, this book provides original, robust ways to understand rhetorical delivery not only through a lens of digital writing technologies, but all historical means of enacting delivery, offering implications that will ultimately affect how scholars of rhetoric will come to view not only the other canons of rhetoric, but rhetoric as a whole.